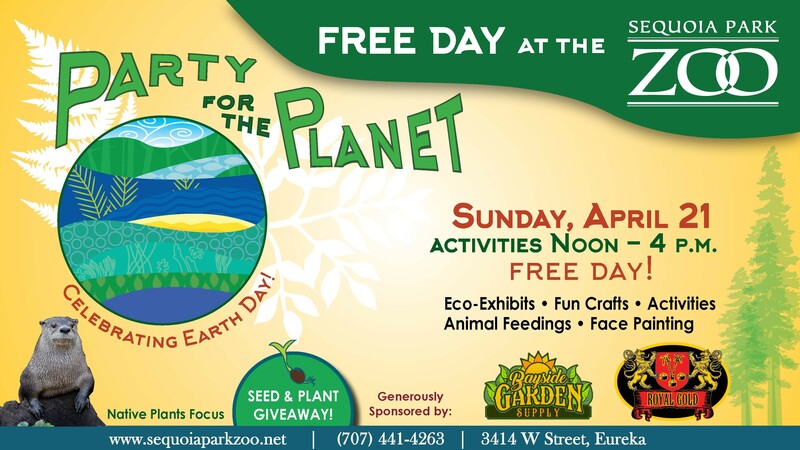 When: Sun., April 21, 12-4 p.m.
Sequoia Park Zoo and Foundation is excited to announce Party for the Planet, our annual Earth Day celebration - taking place on Sunday, April 21st, 2019. This is a FREE DAY at the Zoo with admission generously sponsored by Bayside Garden Supply and Royal Gold Soil. With activities starting at Noon, guests can visit eco-exhibitors, participate in fun children’s activities, enjoy animal feedings, learn about native plants, and see conservation in action! All will be invited to make a personal commitment to the future of the planet with a written pledge in the Pledge Garden.